The Christina Room is a beautiful and well-proportioned classic Regency style room. It is filled with elegance and light, charm and character. 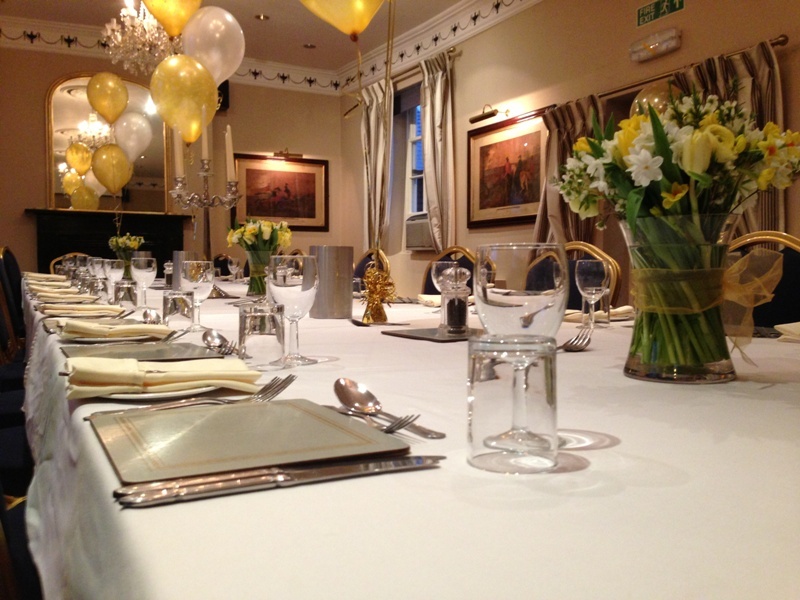 Located on the first floor of the Greyhound Coaching Inn, The Christina Room is an ideal choice for formal dinners, banquets, parties, after-dinner entertainment and other celebrations with seating capacity for 50 – 60 guests. It has its own anteroom with private bar area and a balcony for guests to mingle. It is also used extensively for Wedding Receptions and evening celebrations. If you’re looking for a private dining venue, then The Christina Room is the perfect choice. To discuss your private dining requirements in The Christina Room, please call 01455 553307. If you need overnight accommodation for your guests, The Greyhound Coaching Inn offers 33 individually decorated ensuite bedrooms. From double and twins to four-poster bedrooms and family rooms, we can cater for everyone's needs. If you have a smaller group for a private event, wedding reception or celebration, you may also be interested in looking at The Greyhound Inn Restaurant or The Vaults in the converted cellar of The Greyhound. The Christina Room is a popular choice for organisations and groups who want to hold a meeting or conference. If you're looking for a venue for your meeting or conference, you may want to take a look here.